In many organizations today, it seems that safety has lost its way. Everyone tells you how important safety is, but it’s seen as burdensome and bureaucratic. It shouldn’t be – after all what could be more important than taking care of the most valuable asset in your business – the people who work in it? For many leaders safety has become about paperwork, policies and procedures – doing things because others say they must be done, rather than doing the right thing and leading from the front. People can have very different ideas and understanding about risk in general, about how to identify which risks really matter, and how they can be managed effectively. This panoply of views makes it difficult for leaders to gain clarity and confidence about how they can play their true part in leading safety. So it gets put in the “difficult” box and leaders look to others to do it for them. Together Andrew Sharman and Judith Hackitt get under the skin of how and why many leaders tend to complicate matters by compartmentalising different types of risk. They explore why leaders encourage specialists to take control for them and consider why responsibility for health and safety is delegated to others when leaders would not surrender other aspects of leading their business. 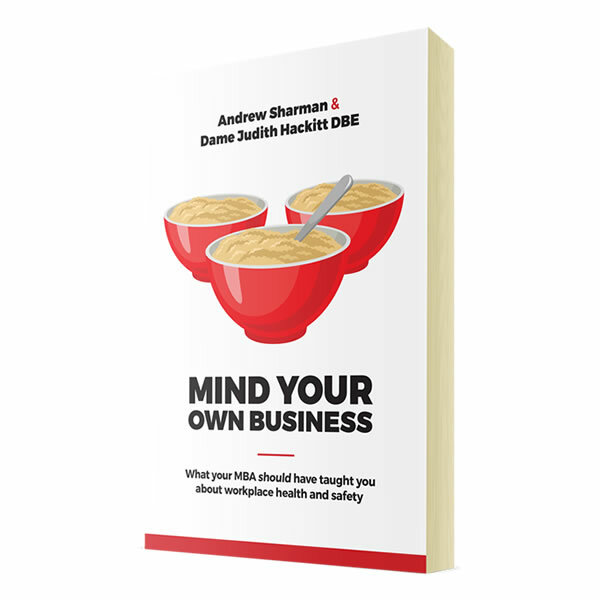 Mind your own business draws a line in the sand for ‘stealth and safety’ and argues that all leaders – no matter their prescribed remit or domain – need to embrace workplace safety in order to be successful. The book sets out to reframe health and safety as a core value and a real leadership mission. Sharman and Hackitt argue that a straightforward and inclusive approach to safety should be a core part of all management and leadership training – especially MBAs – and explains in clear, practical terms why and how, when it comes to matters of workplace safety, minding your own business will help you get things just right.